This site is being redesigned and updated. Thanks for your patience while we get everything running smoothly. Active Learning Partners and ADAS were winners of the Platinum Award in the New and Research category at the IMS Global Consortium Learning Impact Awards at Long Beach California in May 2011. This video formed part of the entry and describes the learning impact of the simulator for diving supervisor and chamber supervisor training, including access, affordability and quality. Active Learning Partners were the project managers and instructional designers for this project, funded by the Australian Government under the Teaching and Learning Capital Fund. The AU$1.4M Dive Supervisor Simulator Project is expected to create a world-first for the commercial diving industry by adapting existing airline, and maritime simulator concepts specifically for the diving environment. We've just completed the second ADAS Advanced Diploma - Dive Project Manager face-to-face course. Two weeks of bootcamp style work in two locations - Albury, NSW and Melbourne, Victoria in Australia, left participants with a whole new range of knowledge and skills to go back and put into action at work. The 10 hour days plus 2 hours homework left everyone needing a good rest at the end, but the upside was that most people achieved a significant amount of the work so that there was less demand on their time for studying back in the work and family environment. The class group was a most interesting and diverse group of people, each with a unique contribution to the group, and the class interaction was once again one of the most valuable aspects of the course work. What a great year - perhaps not workwise, as Active Learning Partners took a break from full time work with a 6 month stint overseas. Global communications technology meant we still were not out of touch and were still active in overseeing the distance learning of the ADAS Advanced Diploma students enrolled in the Dive Project Manager course. Technology may not always be the preferred method of communication - nothing beats face-to-face - but it is amazing how much we can achieve with a combination of the different technology tools of today. Try a few of these tools like Skype, Skype-to-go, MSN, and of course good old telephone and text messaging to really enhance your communication with the team while on the road, without costing a fortune. The ADAS Advanced Diploma course, Dive Project Manager started in early October. Active Learning Partners is assisting ADAS with development of the course materials and Bronwen Campbell is the tutor for the distance learning component. With participants from multiple different Australian States, New Zealand and Thailand, offering some of this course as distance learning has made it much more accessible to participants who can do much of it at their own location and at their own pace. Development of materials for the Australian Diver Accreditation Scheme Dive Project Manager course is well underway and the first course is expected to be run in late 2005. Please visit the ADAS website at www.adas.org.au for more information. Rob Gatt of Active Learning Partners has re-accredited under the new Training and Assessment Training Package TAA04 endorsed in late 2004 and is now qualified to deliver the new Certificate IV in Training and Assessment training. A further dive supervisors course has been run at the Victoria Police Search and Rescue Squad. Bronwen was once again invited to present the Occupational Health and Safety Component, as well as be involved in the latest review of the materials on behalf of the Australian Diver Accreditation Scheme. The learning resource development work undertaken for the Public Services Training Package has now developed (excuse the pun!) into running actual training sessions. We are running a series of training sessions for a Government Department based on these materials in the areas of Managing Risk and Providing Input to Change Processes. It is a great opportunity to get direct feedback on the value of the training materials and where we can further improve both our materials and our facilitation. The offices for Active Learning Partners will be shut over the Christmas break from December 20th until January 28th. If the matter is urgent, you may contact us on Bronwen Campbell's mobile 0439 842237. Please forgive us if we take some time to get back to you as we may be out of range for some of the time. We take this opportunity to wish all of you the very best for Christmas and the New Year. We are pleased to report that the pilot course for the ADAS Onshore Dive Supervisor was a success. 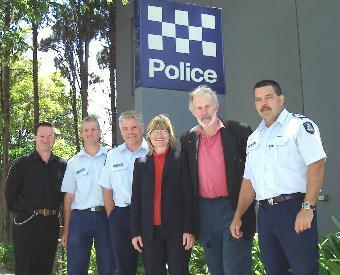 The course was held over two weeks at the Victoria Police Academy and the brand new Williamstown offices for the Victoria Police Search and Rescue Squad. We are now just putting the finishing touches on the course before commercial release. 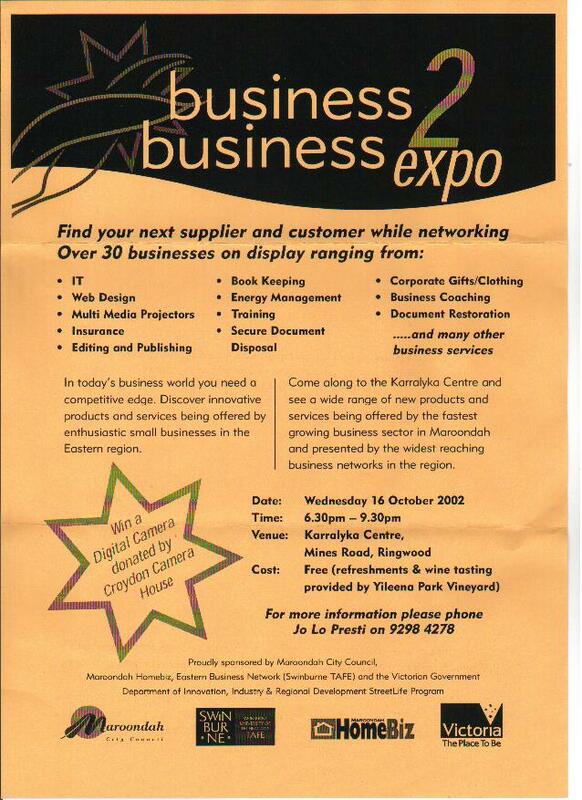 The business to business expo is sponsored by Maroondah City Council, Maroondah Homebiz, Eastern Business Network (Swinburne TAFE) and the Victorian Government Department of Innovation, Industry and Regional Development StreetLife Program. The joint stand between Active Learning Partners and Write it Rite buzzed with activity and discussion for the entire event. For more news and some photos, take a look at the October newsletter.